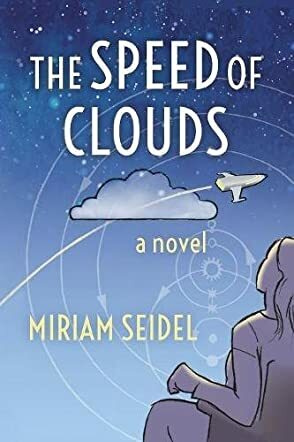 Miriam Seidel invites readers to join Mindy Vogel in The Speed of Clouds in her quest to overcome her personal and physical obstacles. A wheelchair user living with her mother, Mindy is a SkyLog diehard fan who is relieved of her position as the ‘Commander’ of her fan club and loses her control as the publisher and editor of her fanzine. Worst, her mother is having a relationship with a sleazy comic dealer, threatening Mindy's efforts to restart her connection to the other Skyloggers, and to keep her alter ego Kat Wanderer and her romance with the Wuvian-cyborg Roi alive. Set in the late '90s, the story quickly takes me back to a time when the world was abuzz with the Y2K scare, and the premise reminds me of several sci-fi series back then; Star Trek: Deep Space Nine, Farscape, Roswell, and even the animated sitcom Futurama. I’m an outsider when it comes to Cons, cosplays, collectors and fanzines. Experiencing it through Mindy’s perspective, however, made me feel welcomed in the fandom universe－specifically Transortium－with its own conflict and politics, along with the eccentric art of Rosie Grunwald, and the complicated dynamics of Mindy’s family, including her reluctance to join a group of Santak fans. The narrative flits back and forth between Mindy’s fantastic adventure of Kat Wanderer, SkyLog fanfics, priceless findings on Weldon and Sitting Bull, as well as her reality as a paraplegic and a sci-fi fan. To the credit of Seidel’s skill, the transitions are never confusing but absorbing instead. Simply put, The Speed of Clouds is not a simple slice of life tale but a colorful one. Witty, poignant, and inspirational, it’s an adventure in its own right. A really entertaining book, and moving. At its heart, it's about fandom in general -- the passions we indulge, from TV series to video games to football to birdwatching -- so you don't need to be a sci-fi fan to get into it. The protagonist, Mindy, is a spunky young woman you'll never forget. Yes, Seidel created two worlds, actually. The fantasy world of Mindy which spins her out of her wheelchair and into a different universe and the future and the grungy world of her family, her hoarding, flea-marketing mother and begrudging and largely absent father which keeps the reader and maybe Mindy grounded in the present.